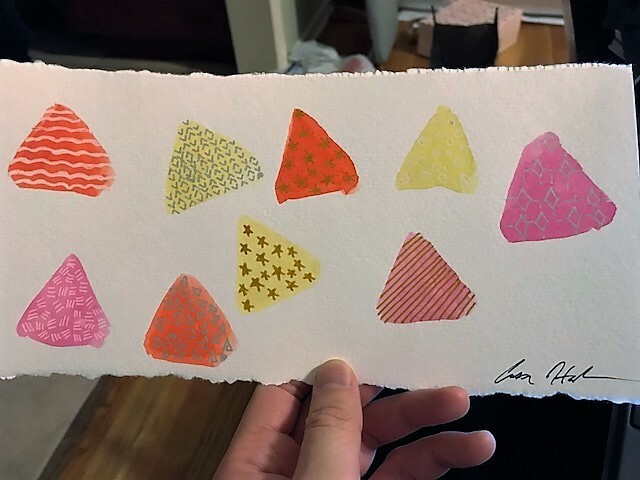 I attended the 2017 Craftcation Conference with my wife this weekend. While this was mostly to help her with hew new sewing business, there were some cool art workshops where I got to try out techniques I normally don’t use. 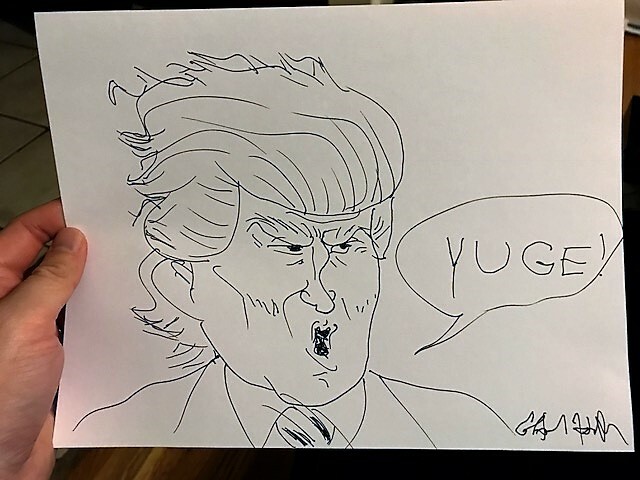 Since I went 100% digital for cartooning back around 2010, I barely even pick up a pen or pencil unless at conventions. This helped me flex my creativity muscles and taught me new techniques too! This exercise involved drawing with your non-dominant hand. I decided to stick in my comfort zone and draw something scary. I was actually fairly impressed at how clear it looks. It also reminded me that drawing is not in the wrist, but the arm. This exercise involved using white, gold or silver gel pens on watercolor shapes. It let my mind wander and try new shapes and patterns. 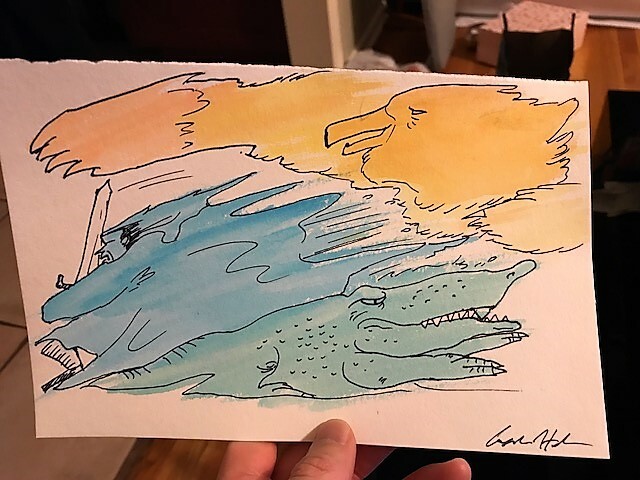 These are colors I picked on a whim, but it also helped show me what colors complement each other. For this exercise, I was supposed to paint a page using multiple colors, then draw out shapes and figures that popped out in my mind. As you can see, I saw an epic battle underway! I used to see shapes and faces in rock or carpet patterns as a kid. Now I know that there was a use for it all this time! This was a similar exercise, but we were supposed to use drops of ink and either draw faces or flowers. 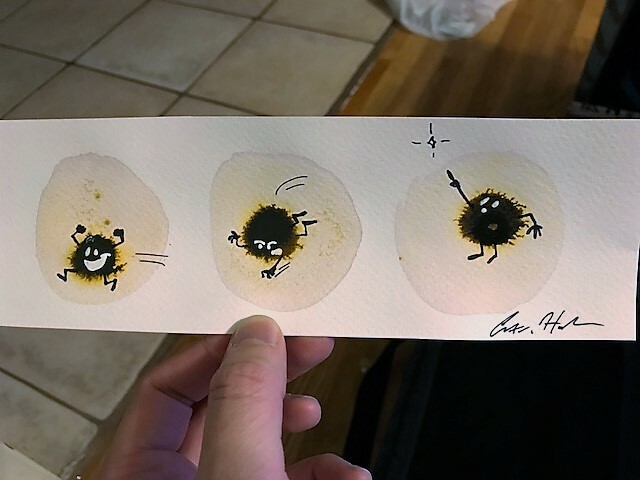 My ink drops didn’t really spread out too much on the page, so I made these little blob guys using ink and a white gel pen. Craftcation was also very helpful from a business aspect. Lots of interesting classes on social media and branding, but it was nice to make stuff with my hands.